GPP-CHARLESTON INDUSTRIES, LLC is headquartered in Charleston, Mississippi and was founded in 1965 as a supplier of signage and lighting to the oil industry. Charleston Industries developed a complete line of architectural signage in 1973 when they were acquired by Petersen Aluminum Corporation. 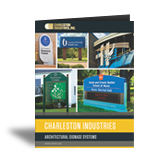 In May of 2014, Charleston Industries was purchased by General Products Partners, Inc. and will continue to produce it’s line of quality signage components under the name of GPP-CI, LLC. The quality components, good workmanship, competitive prices and quick delivery that you have come to expect from Charleston will continue as GPP-CI, LLC. GPP-CI’s complete line of architectural signage directs traffic wherever people congregate. 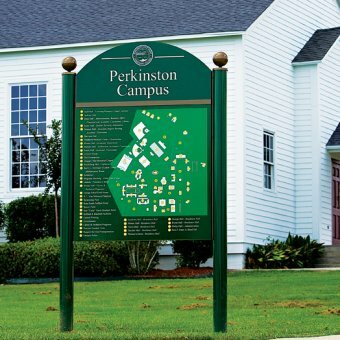 Universities, office parks, shopping malls, industrial parks, hospitals and hotels are just some of the sites suited for GPP-CI post and panel signage.